Sandy, my small crab, molted from 7/11-8/15. After she resurfaced, she had a favorite hiding spot where I could see her shell, and she'd come out a lot at night. However, in the last ~10 days, I haven't seen her at all. From what I've read, crabs typically behave this way when they meet, so I wasn't too concerned. They didn't look like they were shell fighting, and they have plenty of shells anyway. I dipped them in the freshwater bowl beforehand kept a close eye on them for the next few hours. Everything seemed fine, but the next day there were no signs of Sandy or Hermcules and I haven't seen either one since. 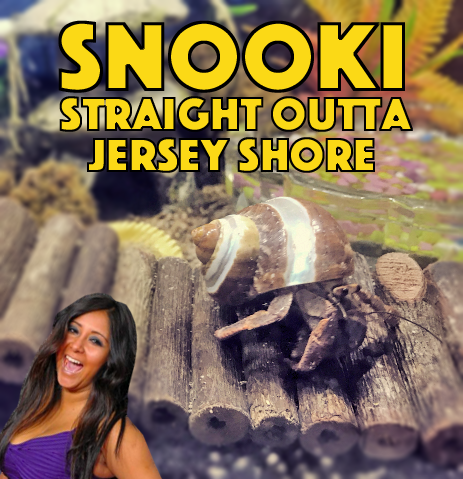 My third crab, Snooki, has been fine. I sort of expected Hermcules to start molting soon after adding him, although I was a bit surprised he disappeared within a day because I thought he'd need to stock up on food first. But Sandy? And both at the same time? It seems strange. I'm worried Hermcules may have bullied Sandy into some evil sand dungeon of torture, where she's trapped (Okay, maybe that's a bit dramatic). Should I be worried about either of them?